This year could represent possibly the most exciting twelve months of technology we’ve ever had. There are rumblings in the tech world that something we’ve not had for a while is coming back to the PC hardware industry – genuine competition. To see what the landscape is looking like right now check out our comprehensive hardware guides for what’s hot in PC gaming tech. Nvidia and Intel are the current dominant names in PC technology, ruling the roost when it comes to graphics cards and processors respectively. It’s a hegemony that’s been in place for years, but there is the very real possibility that it could be upset this year with the AMD underdog promising competition on both CPU and GPU fronts. Click on the quick links below to jump to the tech that takes your fancy. 2017 SSDs: Intel Optane to rule the roost? This is where things are going to get real interesting real soon. 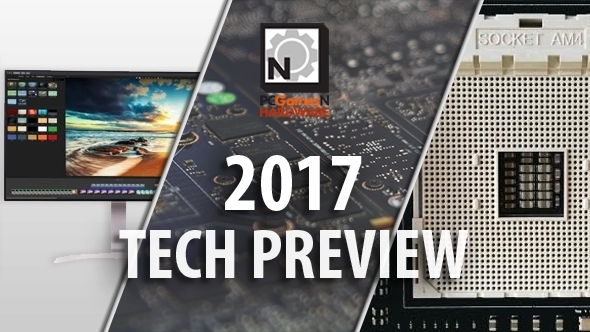 We’re expecting 2017 to kick off with Intel and AMD going head-to-head on the tech front, both releasing new CPUs almost as soon as January rolls around. Starting with Intel, they will be launching the desktop version of their Kaby Lake architecture, the 6th generation of their Core CPUs. Kaby Lake is the optimisation of their 14nm Skylake processor design, the third generation of chips built on their 14nm node. It’s expected to deliver higher out-of-the-box clockspeeds and improved overclocking potential, but not really a lot else, certainly little reason to upgrade from Skylake anyways. That said, one thing Kaby Lake will be bringing is the first K-series i3 processor. The Core i3 7350K is a dual-core, four-thread processor with an unlocked multiplier and a 4.2GHz initial Turbo clockspeed. If Kaby Lake can deliver on its promise of higher overclocking performance it could be the ultimate budget gaming CPU. Though AMD might have something to say about that in 2017 too. It’s a massive year for Team Red because we’ll finally see the first fruits of their Zen CPU labour. 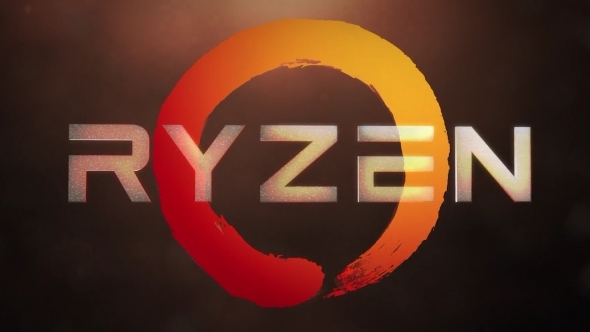 Kicking off with the octo-core Ryzen (formerly known as Summit Ridge) processors, they represent the first new CPU architecture from AMD in around five years, five years that haven’t been particularly kind to the processor side of the business. AMD could only really compete on price, not performance after betting the farm on a heavily multithreaded future that never materialised. And even then, as their CPU tech has gotten further and further out of date, the budget side of the business has tailed off too. But Zen, and in particular the first Ryzen iteration, is set to change that, with the potential to offer CPU performance to compete with Intel’s eight-core behemoths for around half the price. Not only that, but they are set to offer both six-core, 12-thread versions as well as cheaper quad-core, eight-thread chips at the budget end of the range. But Intel won’t be sitting on their laurels, letting AMD back into the CPU race without a fight. 2017 will see Intel matching up their standard and high-end desktop processors ranges with both the Skylake-X and Kaby Lake-X chips landing around August-September time, though some sources claim a potential launch around Gamescom. 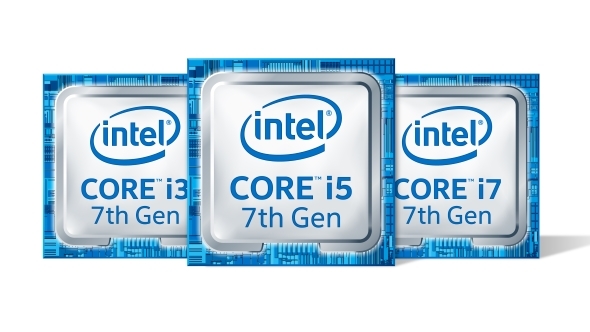 These will replace the Broadwell-E processors with the first high-performance 14nm CPU architecture Intel have produced. We’re still not 100% sure how things are going to shake out with both Skylake-X and Kaby Lake-X processors appearing at the same time, but it looks like the former will be comprised of 6,8 and 10-core HyperThreaded CPUs with the latter sporting a solitary quad-core, eight-thread version. Just as AMD are fighting back against Intel on the CPU front they are taking the graphics card fight to Nvidia this year too. 2016’s Polaris architecture was meant to bring a bit of competition back to the graphics game, and to a certain extent it did succeed. But while AMD’s mid-range cards proved a match for Nvidia’s, especially with the modern DirectX 12 and Vulkan APIs, the green team still had the outright fastest, most powerful GPUs around. That could all change when AMD’s new Vega GPU architecture arrives early this year. Expected to be able to compete at least with the GTX 1080, the inaugural Vega 10 chip will arrive sporting 8GB of high performance second generation high bandwidth memory (HBM2). That’s the one spotted at an AMD event late last year, shown alongside the Ryzen CPU running Star Wars Battlefront’s Rogue One DLC at 60fps in 4K. But there are also rumours of a 16GB version, and that could be the super high-end AMD graphics card Radeon gamers have long been craving. 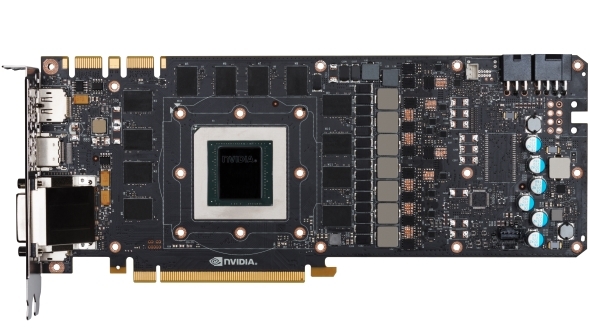 Alongside the Vega-based graphics cards will be a set of cards using refreshed Polaris GPUs. We’ve seen new GPU names appear in a recent Mac driver which could potentially form the basis of AMD’s next-gen 500-series mid-range and budget graphics cards. The GTX 1080 Ti is set to bring the GP102 silicon of the latest GTX Titan X down into a more affordable price point, though don’t expect it to be that affordable… We’re expecting some 3,328 CUDA cores compared with the 3,584 in the Titan X, but with a higher base and boost clockspeed (as well as probable overclocked SKUs likely to appear post-launch) I wouldn’t be surprised to see the GTX 1080 Ti out-performing its older sibling. After the big early year launch we may well see Nvidia pushing out a refreshed line of Pascal-based cards throughout 2017. If AMD’s Vega GPUs start to encroach on Nvidia’s market share then I would expect that to happen sooner rather than later. There are rumours of more GP102-based cards to follow the GTX 1080 Ti as well as a refresh of the GTX 1070 and 1060 cards with GDDR5X memory to bring them into line with the GTX Titan X and GTX 1080. It’s also possible that the Samsung 14nm lithography used for the GP107 chips in the GTX 1050 and 1050 Ti cards might be brought to bear on any refreshed spins of the GP104 or GP106 GPUs. But what of Nvidia’s next generation of graphics architecture? Volta, for that is the name of the beast, may make some sort of appearance this year, with some predicting a May unveiling of the new design at Nvidia’s GTC event. The high-end, supercomputing version of Volta might get an airing at the show, but we still wouldn’t expect consumer versions of the new architecture to appear before 2018 rolls around. Motherboards are the unsung heros of your PC. I don’t care who many threads your CPU has, how expensive your graphics card is or how quickly your SSD can read files, it don’t mean squat if your motherboard isn’t up to scratch. This year is going to see the introduction of no less than three new, high-end motherboard platforms with Intel kicking things off in January alongside their Kaby Lake CPUs. The new Z270 motherboards aren’t expected to bring too much to the table compared with their socket-matched Z170 progenitors, though we do anticipate a little performance boost thanks to the more mature overall design. The Z270 boards have also been designed with a view towards the rise in PCIe-based SSDs and have increased the number of PCIe 3.0 lanes on board from 20 to 24. They’re also coming with support for Intel’s new Optane SSDs, a technology based on a partnership between Micron and Intel to create a step-change in memory storage performance. Intel are also producing H270 and B250 boards for the Kaby Lake CPU generation again as a direct replacements for the existing 100-series offerings. There will also be another 200-series motherboard chipset rolling around later this year, the X299. As you can probably guess the X299 is the generational successor to the old X99 motherboard and is going to be the supporting platform for the new Skylake-X and Kaby Lake-X processors which will release around August-September next year. 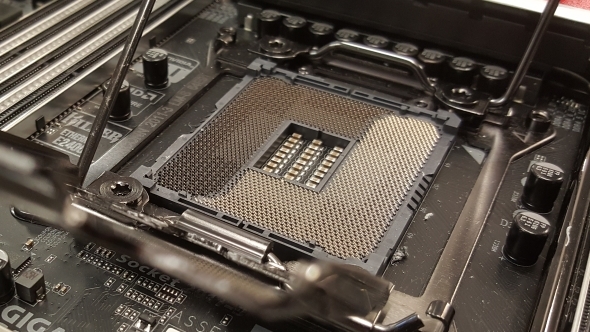 All we really know about the X299 at the moment is that the chipset will come with a new socket with another 55 extra pins, the LGA 2066. Other than that we expect it will come with a host of PCIe lanes, lots of M.2 connections and quad-channel DDR4 memory support. On the opposite side of the CPU divide are AMD with their brand new AM4 motherboards. The 1,331 pin AM4 socket will represent the marrying of both their CPU and APU designs into one unified platform. It gives AMD users a far more varied platform meaning anything from a quad-core Bristol Ridge APU to an octo-core Ryzen CPU can drop into exactly the same motherboard. 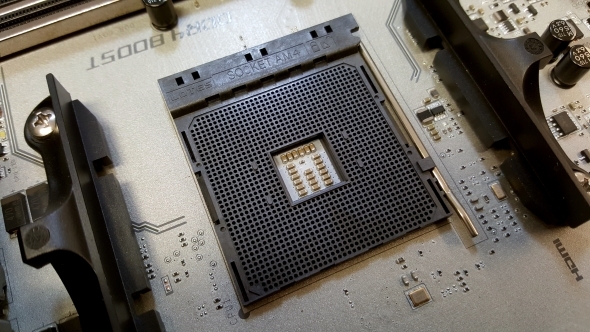 That doesn’t mean there is any less choice in boards though as AMD is reportedly adding in three new chipsets for the AM4 socket: the high-end X370, mainstream B350 and entry-level A320. These should be roughly analogous to Intel’s Z270, H270 and B250 chipsets for Kaby Lake. The big news for this year in terms of SSD will be the appearance of Intel’s Optane SSDs. The Optane drives use a new type of memory, called 3D XPoint, which was designed in collaboration with Micron. 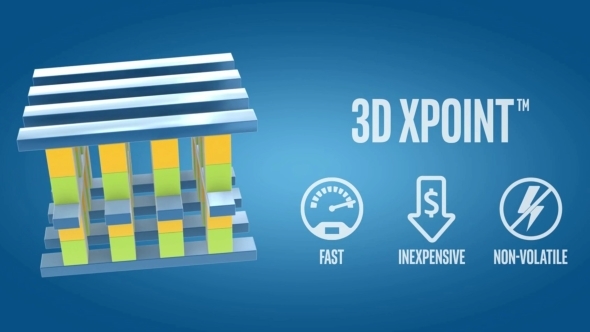 3D Xpoint memory promises a holy trinity of 10x lower latency, 3x higher write endurance and 4x more writes per second and is coming in both storage and system memory forms. Initially we’ll only see it in SSDs with Intel’s Kaby Lake the first platform to support it, but there is the promise that Optane will introduce a system where your machine will be able to see the system memory as a combination of RAM and Optane SSD. That will allow memory intensive tasks to grab SSD memory to use a system memory. Realistically that’s not going to be a massive help in gaming, but if you like yourself some big ol’ databases then it could be kind of exciting… in a not-at-all-exciting way. The low-hanging fruit of standard SSDs seems to have been plundered already so I’m not expecting big shifts in read/write performance even from NVMe-based drives. We’ll probably see a new Samsung SSD arriving in a October-November time frame alongside their annual SSD Global Summit event in Korea. 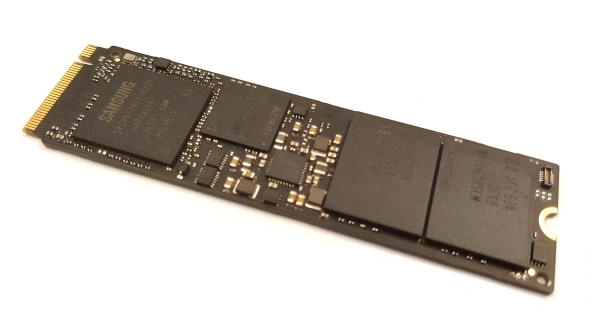 Rivals Micron, with their Crucial consumer brand, cancelled the Ballistix TX3 PCIe SSD last year, but I would still expect to see a Micron-based M.2 drive appear some time in 2017. There are some optimistic rumours that HTC will display their Vive 2.0 headset at the Consumer Electronics Show (CES) in January. HTC have confirmed they are working on a second generation Vive, but I think a January unveiling of a brand new headset might be a little premature, though potentially an improved Vive may still appear this year. What are we likely to get with the Vive 2.0? I would guess at wireless tracking for a starter. 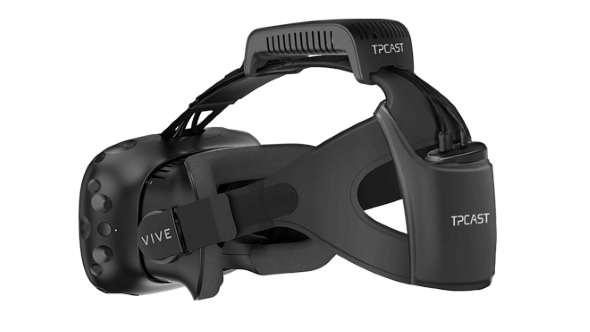 Quark VR have said they have been working with HTC and Valve on a wireless prototype which replaces the wires or the Vive, and TPCast have been doing pre-orders on their version, so if we get anything appearing at CES it will probably be the same device but with wireless connectivity. Other speculation has the Vive 2.0 headset coming with a different form of lighthouse tracking to facilitate its room-scale VR experience. There have been a few complaints about how tricky it can be to set up the current sensors, so a streamlined option would be welcome. Are we going to get higher resolution screens? As much as I’d love to say ‘yeah, don’t worry, we’ll have 4K per eye running at 120Hz’ that’s just not realistic in the next twelve months. We don’t have, or expect to have, the GPUs readily available that could power such a device. Even a machine running twin Vega GPUs, with one card rendereing per eye, would have a hard time getting that going. We’re not expecting a second generation Oculus Rift next year though. This time last year Oculus founder, Palmer Luckey, explained in a Reddit AMA that the first generation Rift would have a lifespan “somewhere between a console and a mobile phone, much closer to a mobile phone.” That would likely peg a 2018 release for a Rift 2.0. Microsoft and Intel though are looking to make virtual reality mainstream this year with their Project Evo collaboration. Project Evo is a plan to produce a range of affordable PCs that can cope with VR and gaming (though not necessarily both). 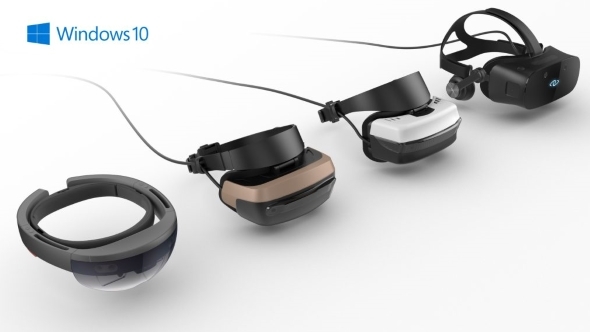 They’re anticipating headsets, using either virtual or mixed reality, from Acer, Asus, Dell, HP and Lenovo this year, with Microsoft’s HoloLens getting more availability to developers too. 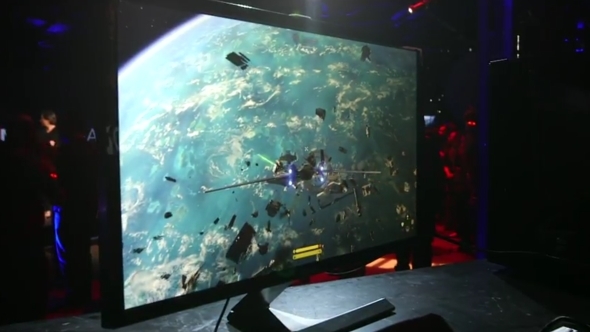 This year could see the first OLED gaming monitors hitting our desks. Maybe. We’ll at least see standard OLED monitors, but how good they’ll turn out to be for gaming is still up in the air. I have plugged my desktop rig into a 55-inch LG OLED I borrowed a while back, and that was a quite stunning experience, even just playing Fallout 4 on it. 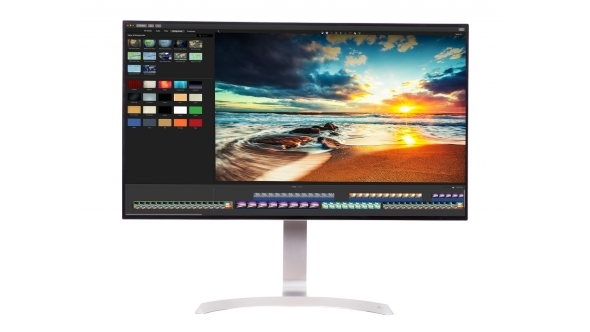 The long-awaited 30-inch Dell UP3017Q was the first OLED monitor to be announced and promises a 120Hz refresh rate to go along with its 3840 x 2160 native resolution. It was first shown off at CES last year and has still to hit the market. Fingers crossed it will do this year. And fingers crossed LG decide to up their monitor game too and deliver us some more OLED screens. 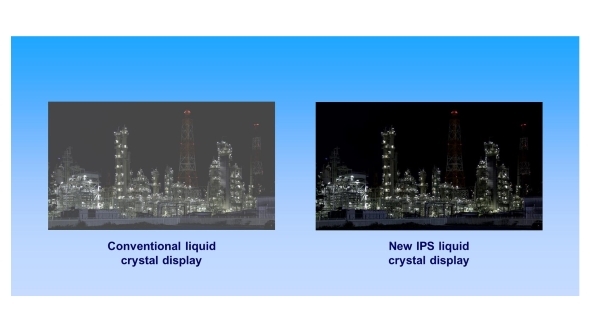 OLED isn’t the only new screen tech which could potentially arrive on our desktops this year, Panasonic have been developing a new type of IPS panel which could rival OLED for image quality. It promises 1,000,000:1 contrast ratio, 1,000nits peak brightness and almost the same perfect blacks of OLED displays. Early samples are meant to be appearing this January, but whether that will translate into actual retail monitors later on in 2017 we just don’t know. Elsewhere you can bet the refresh rate rat race is going to carry on apace. Asus are working on releasing a 240Hz gaming screen this year and I expect some manufacturer’s going to faux up some 300Hz screen using a heady mix of marketing bull and creative license. There’s a new version of the Windows operating system coming this year. Exciting, no? Is it Windows 11? Have they needed to skip that number due to it being a horrendously offensive numeral in Chad and gone straight for Windows 12? Nope, it’s still Windows 10, just with a new update. Windows 10 is set to be the final version of Microsoft’s OS. Yeah, they think they’ve finally cracked it. From now on there will only be incremental updates as they try and move towards an approach of Windows being more of a service than a product. The next of these incremental changes is the Creators Update and is due to drop this Spring. MS Paint is getting a major overhaul and you’ll now be able to create bad 3D models in the basic software as well as bad 2D drawings. And, speaking of three dimensions, the Creators Update is also going to be the version of the OS which supports the coming dawn of Microsoft’s virtual and mixed reality ecosystems. 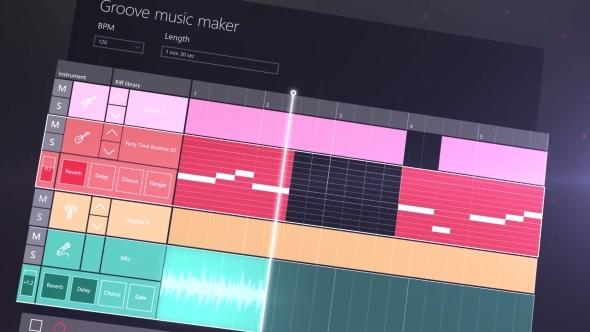 If you’re more aurally fixated then the Groove Music Maker app might suit you better. It looks like a really basic drag and drop music creation tool, optimised for touch. But at least it’ll be free, eh? The Edge browser (you know, behind that other ‘e’ icon you never click on because you’re still using Chrome) is also getting an update too with some tab preview feature. But if a tab previews in a browser and no one is around to see it, does it make a difference?